Bottled salad dressing can turn your healthy lunch into a creamy mess of extra calories. Luckily, vinaigrettes are a breeze to whip up, and all the ingredients are probably already in your pantry. These recipes should make enough to keep some in your fridge for future use. Most of the time the bottles will just need a solid shake before using. But if the dressing doesn’t come back together within a couple shakes, then toss everything into a blender and take it for a whirl until everything is recombined. 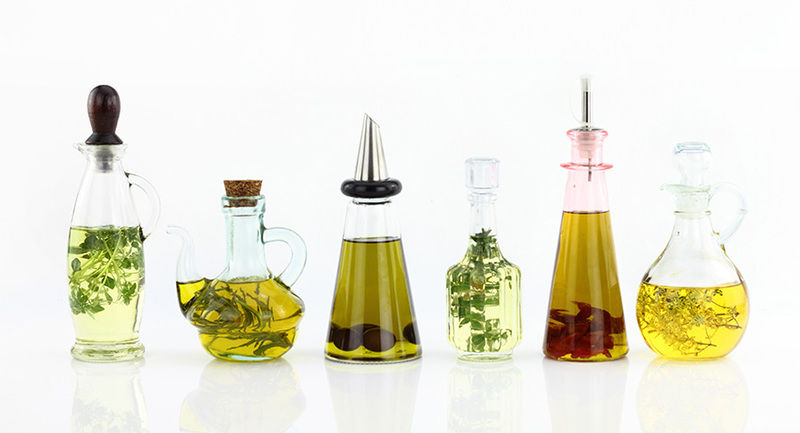 DIY dressings are an easy way to keep sneaky calories out of your salad. With these vinaigrettes, you won’t have to feel guilty about splashing a little extra onto your greens. Happy whisking! Asian flavored dressings can be very versatile. This dressing will pop on a cold noodle salad with seared tuna as well as dress up grilled chicken over spinach with edamame and green beans. This recipe combines two classics into one. For a dressing with more texture, substitute the Dijon mustard for coarse grainy mustard. Or kick up the heat with spicy Dijon mustard. Vegans love creamy dressings too. This recipe is an adaptation of Annie’s popular Green Goddess dressing. The creamy texture is achieved with silken tofu, which slashes the fat and adds protein. RELATED: Like healthy salad dressing? Try these healthy pasta sauce recipes. Buttermilk ranch dressing is one of my salad indulgences. Try a BLT inspired salad with buttery bib lettuce, crispy turkey bacon, and heirloom tomatoes, all topped off with a drizzle of tangy buttermilk ranch. The sweet and fruity base of this dressing is countered by the minced jalapeño for an added kick. Top a salad with chicken, cucumber, and mint for a really nice pairing. In its original form, this recipe doesn’t scream “ready for the beach.” But with a simple swap of turkey bacon for regular bacon, this dressing isn’t so bad. The recipe also makes a lot of dressing (1-1/2 cups) so feel free to cut everything in half. This lower fat version of bleu cheese dressing will be best on grilled or baked buffalo chicken (if you’re eating low fat dressing, then skip the fried wings). The recipe calls for plain yogurt, but if you like your dressing extra thick and creamy, opt for nonfat plain Greek yogurt. If you can’t find anchovy paste in the tube, then finely dice one or two whole anchovies. Lovers of parmesan peppercorn dressing can try this lower fat version for a (mostly) guilt-free indulgence. Citrus on a salad really makes flavors pop. Grapefruit pairs perfectly with arugula and thinly sliced fennel for a lovely appetizer salad.